We have produced a small amount of the IPLE Calender to celebrate Happy New 2009. The calendars will be a gift for the customers who purchased dolls. We will give the calendars to customers with the following conditions. The calendar is provided according to the order of the placing and the date of delivery, so if the prepared quantity is exhausted It is not possible to provide it. 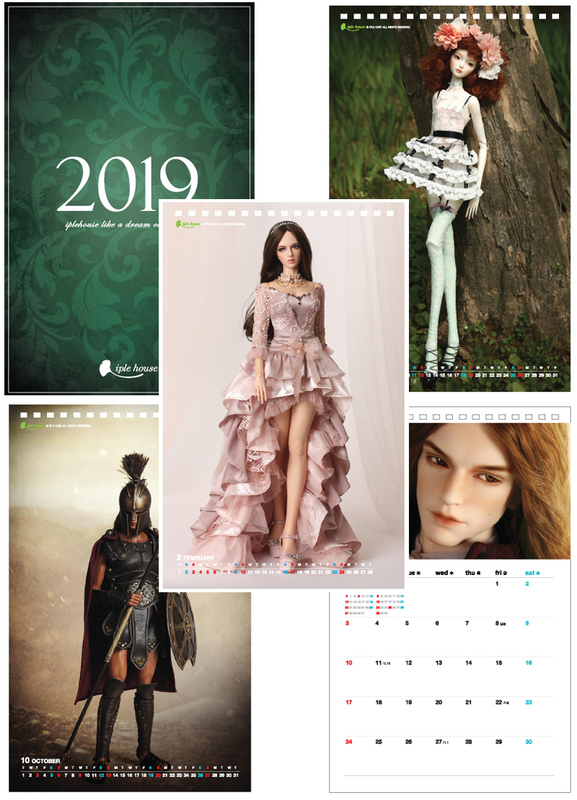 In other words, even if you place an order in January, please note that if the shipping schedule has delayed for some reasons, you may not receive the calendar.